What I've been listening to: I don't use Spotify in my car, mostly because I am too lazy to create offline playlists and my brother plows through data on our family plan so fast that I'm constantly paranoid about using my phone when I don't have wifi to make up for his over-use of data every single month. This means that I tend to just rely on the music that I have on my phone. I've been using Spotify since my senior year of high school, so that was around the time I stopped buying music on iTunes. Long story short, a majority of the music on my iPhone is at least four or five years old, sans some new One Direction and Little Mix. I finally bit the bullet and bought some new songs so I could switch it up a little in my car so I wasn't listening to the same outdated (albeit still great!) songs. 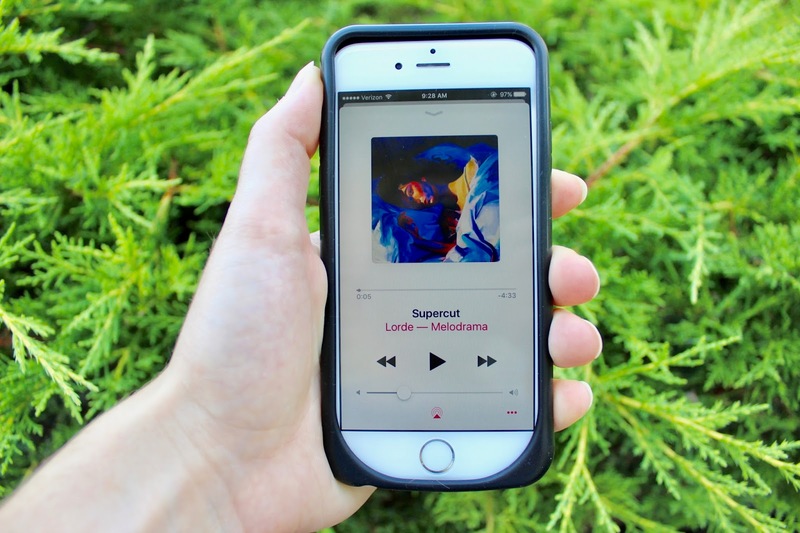 "Supercut" by Lorde has been an absolute staple in my car jams. I love the buildup in that song. I think it actually has the power to potentially become one of my favorite songs on Melodrama, not that any song on that album could be anything but a favorite song #AlbumOfTheYear. "Soundcheck" by Catfish and the Bottlemen has also been pretty heavily played while I've been in the car. I actually had both of their albums on an offline playlist that I used to listen to when I was driving back and forth from Cleveland. "Soundcheck" is just a really great windows down summer song that probably annoys anyone who I'm driving next to because I admittedly like to listen to it loud AF. Also, since I'm a big fan of nostalgia that doesn't make me want to cry, "Misery Business" by Paramore has a spot in my daily listening playlist. So if you forgot about that song for some reason...unforget about it I guess? What are you waiting for, go jam out! What I've been watching: Am I finally ready to talk about The Bold Type? I might be. Okay, so I've been holding off on talking about this show until I could really form an opinion on it. I'm really not that picky when it comes to television, but at the same time, I don't really like to waste my time. I have no trouble declaring some beloved shows as "Meh" mostly because I don't have time want to make time to see if binge-watching would change my mind. When I first saw ads for The Bold Type, I squealed. A good, hearty, high-pitched squeal. I was going to get to see one of my dreams (I don't know which dream is accurate for me right now...still trying to figure that out) played out on television? This never happens! So, I waited for the premiere and after it was over, I was confused. I keep watching week after week and I continue to like it more as time goes on. It's a Freeform show, so I wasn't expecting first season Scandal or anything. I think I set my hopes so high that the first episode fell flat for me. However, the past two episodes have made me cry and guys, I think I'm finally invested. Already in the past month, my favorite characters have completely switched, which means we have my favorite things: character growth and character...regression? I don't see myself missing an episode. Is it my favorite show? No. But is it something fun to watch week after week that incites a little "Yes girl! You go girl!" in the pit of my stomach? You betcha. There's something really endearing and hilarious about this show, even if it is–unsurprisingy–very dramatized with an injection or two of bubbly. 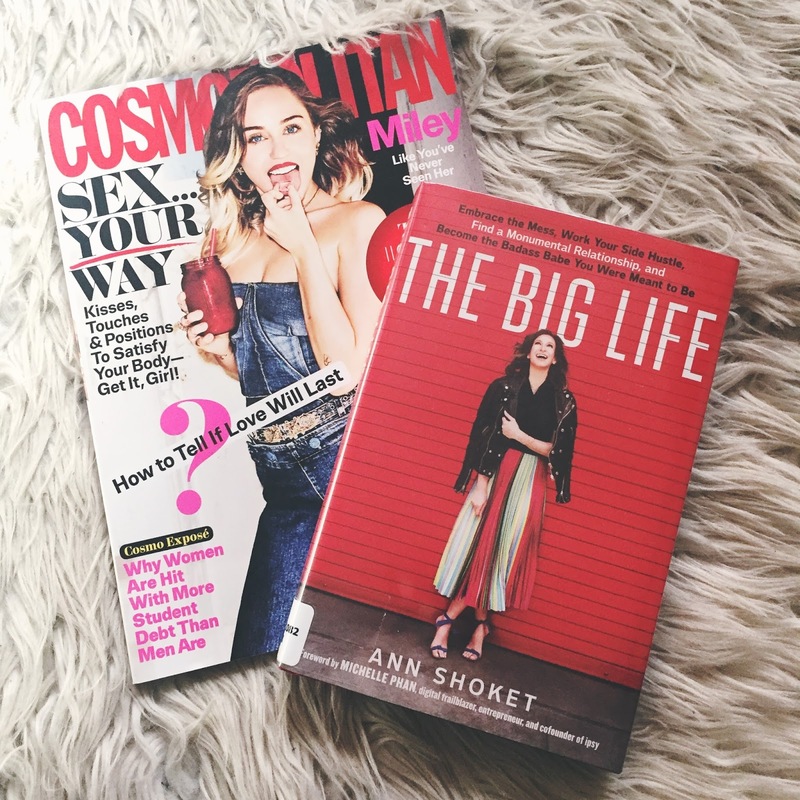 What I've been reading: I just recently read The Big Life by Ann Shoket. I'm saving my big, rambling review spanning six too many paragraphs for another time, but this is one of my favorite career/advice books that I've read. Shoket is a magazine writer and editor, most popularly known for her iconic role as Seventeen's editor-in-chief from 2007-2014. I think the most interesting part of this book–amongst the 300 odd pages of career advice–is that Shoket targets millennial women specifically (but later on does offer advice to women who fall into Generation X as well). The book takes Shoket's advice into account, as well as the tales and tribulations of plenty of other women in the industry, whether they're self-starters still working their way up or women who have found their way to the top and still wonder "What's next?" or "Am I happy?" I'm also going to shout out this month of Cosmopolitan magazine. I haven't read Cosmo in a bit, mostly because I've been trying to save money and as you might know from yesterday's post, magazines are the one thing I have trouble resisting. Miley Cyrus was the cover of this month's issue so I caved. Plus, it's the September Issue. Everyone loves a good September Issue! Yas to Melodrama by Lorde omg that album is gold. And I'm two episodes in to The Bold Type but liking it so far! That album changed 2017, like thank the Lorde™. It's super cheesy but it's cute hahaha. Can't expect Scandal from Freeform, but at least it's entertaining!